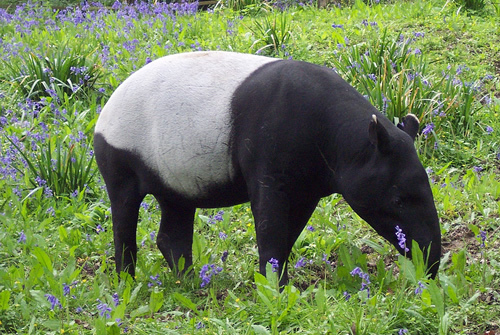 Three of the four species of tapir are endangered. 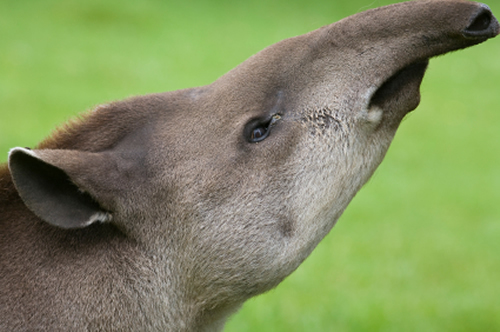 The threats facing tapirs include hunting for meat and skin, fragmentation of habitat, and encroachment into protected areas by farmers and illegal logging. 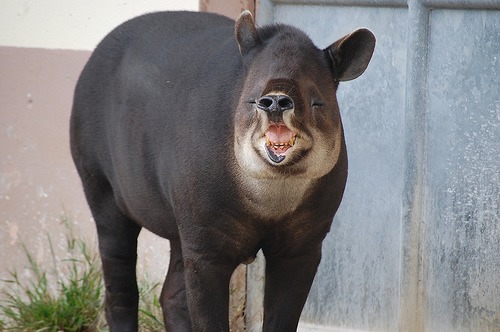 To help raise awareness about these special herbivores, we have compiled a list of 15 cool facts about tapirs, including some great photos. Please enjoy the following images of these adorable creatures. 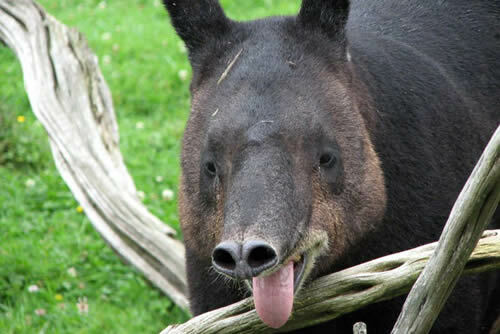 Tapir fact 1: There are four species of tapir. Baird’s tapir (Tapirus bairdii); population: Fewer than 5,500; IUCN – Endangered. 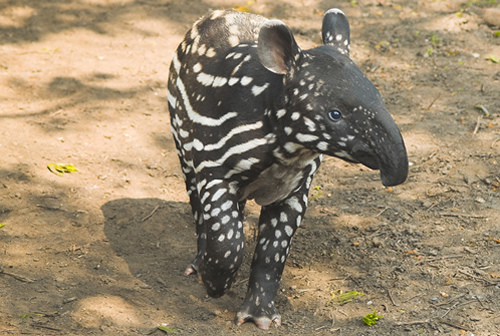 Tapir fact 3: Tapir calves are born with dappled markings; at about six months, they lose the markings and look like a miniature adult tapir. 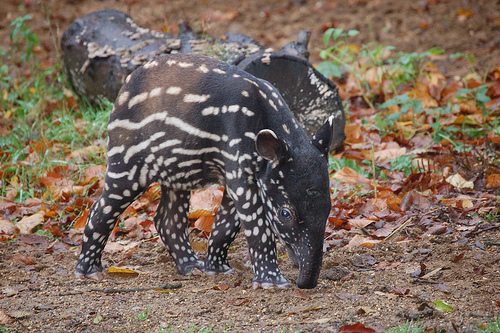 Tapir fact 4: The dappled markings of a tapir calf are excellent camouflage. Tapir fact 5: The average lifespan of a tapir is 25 to 30 years. 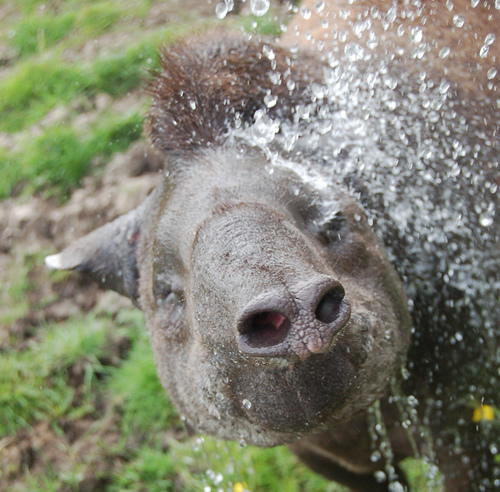 Tapir fact 6: The tapir’s nose is prehensile and is used to grab leaves – and also as a snorkel while swimming. 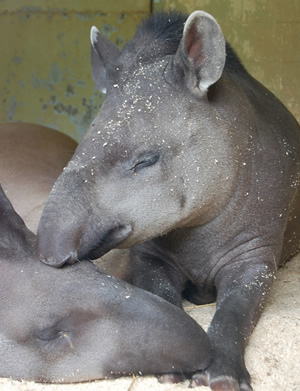 Tapir fact 7: Tapirs have a long gestation period (13 months) and give birth to one calf per gestation. Tapir fact 8: All tapir populations are in decline – a not-so-cool fact. 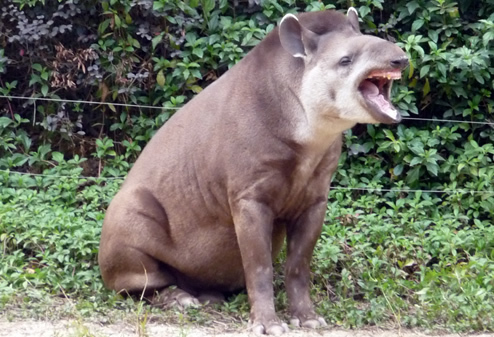 Tapir fact 9: Their closest living relatives are horses and rhinos. 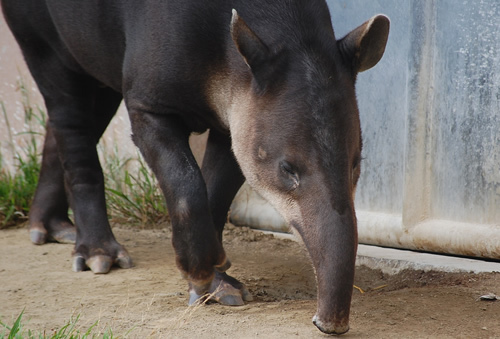 Tapir fact 10: Tapirs have four toes on their front feet, and three toes on their back feet. 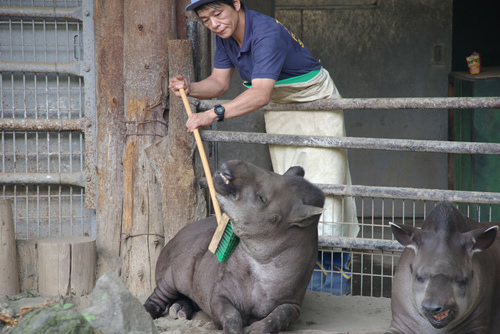 Tapir fact 11: In 1998, a female tapir at the Oklahoma City Zoo bit off a zookeeper’s arm at the bicep. 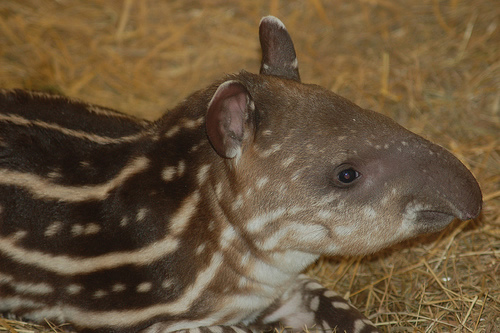 The tapir had a two-month-old calf in her enclosure. 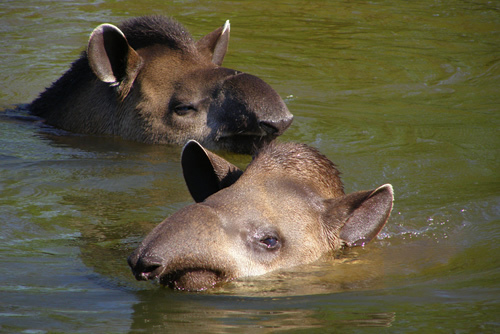 Tapir fact 12: They are excellent swimmers and can even dive to feed on aquatic plants. Tapir fact 13: Scientists believe that tapirs have not changed very much over tens of millions of years. 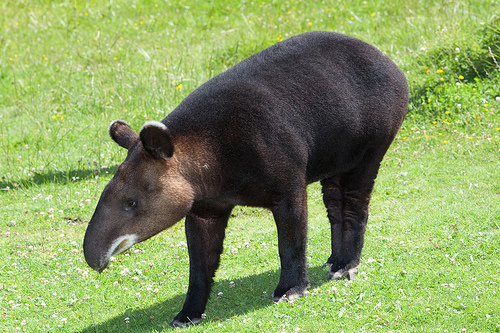 Tapir fact 14: New World tapirs live in Central and South America. 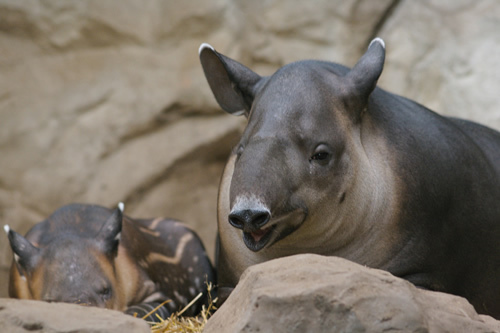 The Baird’s and lowland tapirs live in the forests and grasslands, and the mountain tapir lives high in the Andes Mountains. 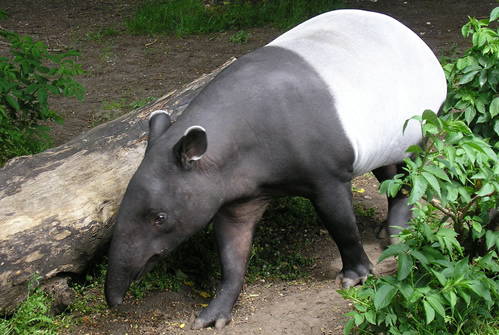 The Malayan tapir is an Old World tapir and is found in Southeast Asia. Tapir fact 15: A hybrid tapir was reportedly born at the San Francisco Zoo around 1968 – a cross between a Baird’s Tapir and a lowland tapir.